This is the Surf Club for all of Carlsbad residents and beyond, Including the surrounding cities, states and countries. People of all ages, male and female and of all abilities and levels are welcome! Eligibility is - novice, intermediate, advanced, expert and pro, etc. The club members will meet and surf (3-5 days a month) @ Ponto on Thursdays - The surf sessions will be supervised by the coaching staff from 3:15-5:15. This sessions (6 months) first meeting will be April 1st Thursday @ 3:15 Tower 21 South Ponto - Orientation to the club/program. Members can join at any time for the specified period April 1st - September 27th (6 months). 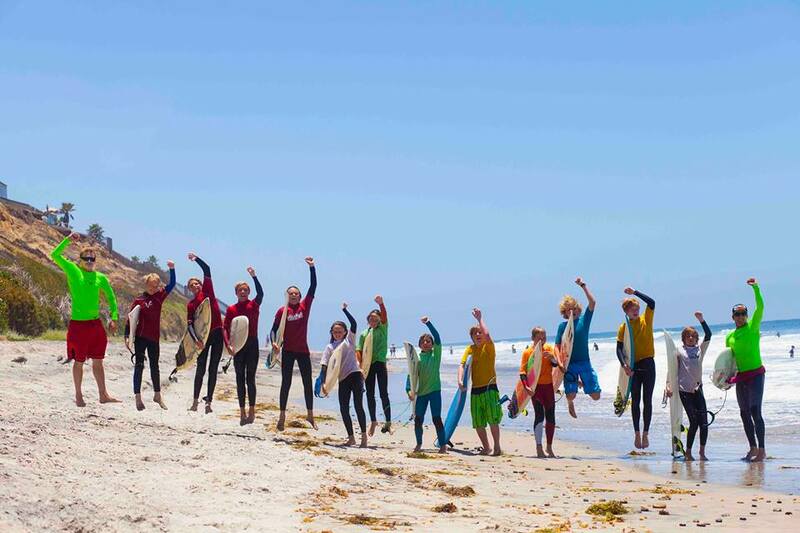 On June 14th the Carlsbad Club will meet at 1pm-3pm @ Ponto South Beach @ Surfin Fire's surf school location. The goal of the Carlsbad club is to get all participants to the next level they desire. Working with the coaching and conditioning staff of pros we aim to build on all aspects of each individual’s levels. Students will learn - Ocean awareness, wave knowledge, contest surfing, Heat management, self-scoring along with strength conditioning and much more. We will steer those individuals towards free and contest surfing along with prepping individuals for SSS, NSSA, WSA, Club boardriders and other select independent contests throughout the region. The focus will be working on proper detailed techniques in correct paddling positioning, pop up techniques, body rotation for harder smother turns, wave selection and overall skill sets to help improve the individuals everyday surfing performance. Also an excellent program for all including if you're thinking about participating on the AOM team. Private coaching will be available upon request at an additional cost (discount rate for club members). Membership is good Bi-yearly beginning April 1st and going to September 27th! Members will receive Billabong Gold card (50% off 20 items). 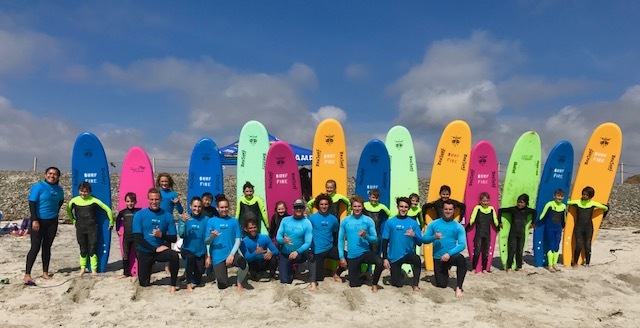 All current members also get a $25 dollar daily rate to SurfinFire's summer surf camps for - Groms, Teens and Adults in the afternoons 12:30-3:30 on all other days (M,T,W, and F). Club members will have opportunities to do fundraising events and save up for surf trips, Bbq's & parties and other fun club getaways. The program is designed around improving your skills, through coaching and practices. The club fee cannot be prorated if you come after the initial month it starts. The club fee remains the same throughout the six months.